For the fifth time in the last six seasons, the Wisconsin women’s golf team has earned the right to play in the NCAA Regional Championships. 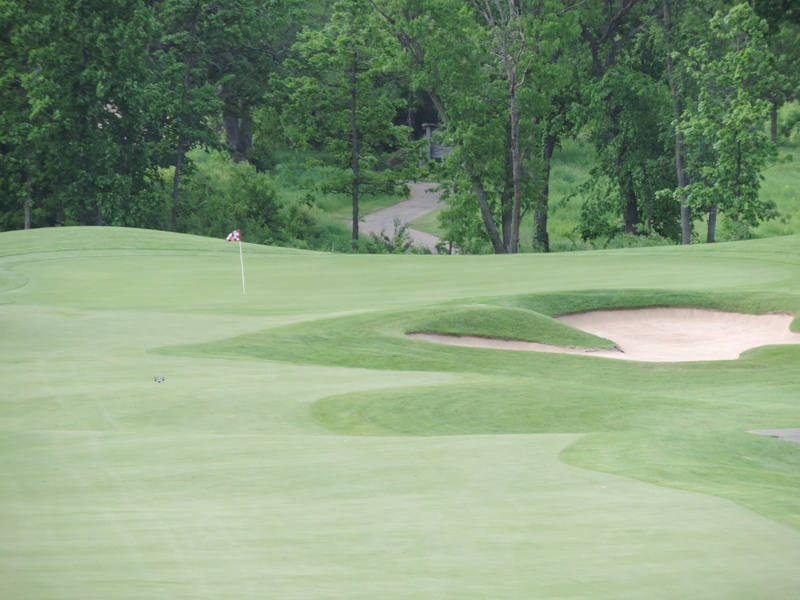 The Badgers will host the 18-team field at University Ridge Golf Course on May 7-9. This is the first NCAA event held at University Ridge since the 1998 NCAA Women’s Championships. University Ridge has also hosted the Big Ten Women’s Championships in 2000 and 2010 and the Big Ten Men’s Championships in 1995. This June, the course will host the PGA Champions Tour American Family Insurance Championship for the third-straight year. It is the ninth time in school history the Badgers have qualified for NCAA play. A total of 18 teams and six individuals were chosen to compete at each regional site. The Badgers were awarded the No. 9 seed and will be joined in Madison by Duke, USC, Arizona State, Northwestern, Illinois, Purdue, Iowa State, Virginia, Campbell, Ohio State, Notre Dame, Old Dominion, Oregon State, Idaho, Murray State, North Dakota State and IUPUI. The top six teams and the top three individuals not on qualifying teams will advance from each regional to the NCAA Championships, which will take place at Karsten Creek Golf Club in Stillwater, Oklahoma, From May 18-23. Last season, Wisconsin finished 13th at the NCAA Columbus Regional. UW’s best regional showing came in 2003, when the Badgers finished sixth in Lincoln, Nebraska, to qualify for the NCAA Championships. The Badgers also reached the NCAA Championships in 2013 after placing seventh at the Central Regional in Norman, Oklahoma.